"Doug, PJ and their team are the best in the Tyler area. They worked hard to market my home in ways I'd never heard of and kept putting it out there for other realtors until it was sold. My friends and family have used them with similar results and I'll definitely go back to them again with future real estate needs." "We only have the very highest praise for PJ Hartley and her entire wonderful team of the Crutcher and Hartley Real Estate "Family"! We appreciate their positive and professional demeanor throughout the entire process of selling and purchasing two homes. Thank you, PJ, Doug, Karen, Magen, Debbie and Linda, from the bottom of our hearts!!! "We loved them, their whole team was awesome. They helped us sell our old home and buy our new one." "The Crutcher and Hartley team really advertise and promote your property. They are so easy to work with offering a personal touch and making you feel important. They truly care about you and your personal circumstances." "Exceptional service and expertise; couldn't be more satisfied! Simply the BEST!" "Doug helped my wife and I sell our home and we were very pleased with the service level. Very knowledgeable and easy to get in touch with. I'd recommend him to anyone selling in the Tyler area. His partner PJ is also very helpful. "Debbe was great! She always responded in a quick and timely manner!" "The Crutcher and Hartley Team are AMAZING! They made sure that we were up on every thing that was being done during the entire process. They made us feel that we were the only clients that they had. I Strongly recommend them for your buying a home experience! They were Truly a God send to us!!" "This is our third property to trust into the care of The Crutcher and Hartley Team and every experience has been without flaw and we recommend them highly!" "Our realtor did a great job! As first time home buyers we had many questions. The team at Crutcher and Hartley was very patient with us and answered all of our questions. Our realtor made the process smooth and easy!" "Ms Hill started worked with us for over two years while we were preparing and making a decision to purchase a home. She was extremely patient, courteous, and knowledgeable." "Debbe Hill was our realtor. We were a bit handicapped in that we were working from San Diego, and Debbe managed to help us feel comfortable in our mad dash visits. She took the time to review the homes we asked about and taxi us all over Tyler, Palestine, Arp and Whitehouse without hesitation. She was honest with her opinion and in the end, we ended up with a fantastic home....or maybe Texans call it a "ranchette", whatever, we're loving it!" "The Crutcher and Hartley Team have been very helpful in my aquisition of a few investment properties , their years of experience are evident at every step of the way. I have experienced excellent service from the beginning of the house buying process to the end, can't go wrong with these folks!" "We were moving out of state and they helped taking care of last minute loose ends. They lined up cleaners, negotiated prices and took care of remaining issues from inspections." "Crutcher and Hartley are an extremely professional team! They recently worked with me to sell my home and purchase a new one. Their thorough, honest approach helped me set the right price on the home that I was selling and helped me realistically set my expectations on what I would find for its replacement. They provided up-to-date market analysis on the selling and purchasing sides, beautiful sales pictures that showcased my home on the internet, access to an automated system that emailed me every time my home was shown along with any comments that followed, and an extremely valuable closing worksheet that detailed seller's expenses and projected net proceeds. Negotiating skills were also exceptional! P.J. Hartley very patiently and expertly negotiated the sale of my home where both parties were pleased with the outcome. Doug Crutcher also offered a wealth of knowledge on several closing details for our purchase. We had a great experience with every member of the Crutcher and Hartley team!" "Debbe was a pleasure to work with! Her response time was superb. Always got right back with me anytime I had a question. Closed on property on time and the office, specifically Karen, was very efficient and always helpful! Will definitely recommend this group to friends and family!" "When my husband and I moved to Tyler in 2015 we used Doug and his Team to find our home! When my husband's work relocated us in 2016 - again we commissioned Doug and his Team to help us sell. We were pleased beyond belief when our home Listed and SOLD in 5 days!! They are professional and prompt! Thanks so much Doug and PJ and RE/MAX for selling our home so quickly! We would highly recommend them to anyone buying or selling!!" "If anyone is in the market for an agent whether looking to buy or selling your home you can not ask for a better or hard working team as The Crutcher & Hartley team . We sold our home and bought a new one and used Doug Crutcher both times !! He is absolutely great to work with. You cannot go wrong with this group!" "Awesome service and help finding the perfect home! PJ Hartley has extensive knowledge in the Tyler area which makes the home search process so much easier and more effective. Thank you PJ!" "Great, timely service! They helped us find our dream home while still living in another state. Would highly recommend this realtor team to family and friends." "Our agent and now friend, Debbe Hill was wonderful throughout our home search and closing in Tyler, Texas. My wife and I highly recommend Ms. Debbe and the Crutcher and Hartley Team." "I highly recommend Crutcher and Hartley, I've purchased multiple homes through them and they have made the process so easy. They are very helpful, knowledgeable and have the patience to make sure you know the entire process every step of the way." "My wife and I used The Crutcher and Hartley team to both sell our current home and purchase a new home. This Re/Max team did an outstanding job both helping us sell our home the purchase of a new home.. Our agent and the entire office staff made what can be a stressful task easy and stress free compared to some of our past experiences with other real estate companies. Many thanks to PJ, Karen , and Magen." "This was our first time selling a house and we were very concerned about the entire process. The Crutcher and Hartley team were very helpful and understanding of our concerns. They met with us with 2 times to help us prepare for the sell. Their suggestions were exactly what we needed. We were pleased to receive a call the day after we put the house on the market that we had already received an offer. We subsequently received 2 more offers the first week. We closed 45 days after the first offer and basically received what we asked. Everyone buying or selling in this area should consider working with this team." "The Crutcher and Hartley team worked with us to develop a strategy to professionally market our home to a target audience. This strategy was specific to our house, its location, and strengths -- they did not rely on a cookie-cutter approach. From time of listing to sale closing, Doug Crutcher was readily available for contact or meetings and accommodated our schedule -- this was extremely important as close communication helped us both maintain reasonable expectations. 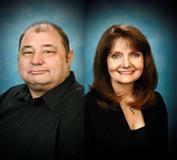 We enthusiastically endorse Crutcher and Hartley as realtors in the Tyler area." "Mr. Crutcher helped with every hurdle along the way to sale my house. I couldn't have asked for more. Highly recommend." "Thank you so much for the framed article published recently in Woods Living. Thank you, too, for being so thoughtful. We are blessed by your professionalism and support." "Great place to work with. Answered my questions quickly at any time of the day. Worked extensively with the seller agent to negotiate. Friendly atmosphere with absolutely no pressure. Would buy again! "They are a very professional team and take pride in their work. They keep you informed and "in the loop" on all activities with your property. My listing was going to be a tough sell due to 1) it was in a small town 2) larger square footage than the average market and 3) priced on the upper end of the scale." "From the very beginning steps to the closing, Crutcher and Hartley was there for me. They answered all my questions and took care of everything. I didn't have to worry about anything." "I have used this team on three occasions, twice as seller and once as buyer. Well organized, quick sales, no hitches at all. I wouldn't use anyone else to move real estate. Thanks for a job well done." "We were very pleased with our experience with Crutcher & Hartley RE/MAX. They were very professional, knowledgeable, and very friendly. Our real estate searches went smoothly and we love our new home. At closing we also received a wonderful pecan pie. It was awesome - and just the icing on the cake! Thank you so very much!" "Thank you for the partnership this past year. Although we had ups and downs through the market you both were available to advise and position our property to show well. We appreciate your efforts so much and are grateful for the successful sale of our home. Best regards!" "Carrie and I could not be happier with our experience (multiple transactions) accomplishing our property goals. Every facet of our relationship has been stellar, and I would consider it a privilege to relay that opinion to others." "Crutcher & Hartley have a very professional and yet warm relationship with clients. We are thankful to them for guiding us through our home purchase. At closing, Doug Crutcher was present a nd we experienced a warm and relaxed atmosphere. Thank you to the team of Crutcher & Hartley for all you did to provide us with your expert services. We love our home and ‘thank you’ Doug for the enjoyable afternoon of laughs." "Yes we would recommend Remax, Doug and PJ. Their team is the best. They make you feel like family. Always a pleasure to work with them. They have helped us with three houses." "We recently purchased our first home in Tyler, TX. Through the recommendation of a friend we were put in contact with real estate agent Debbe Hill. We had an excellent experience. Debbe was so very helpful in answering all of our questions and helping us with our particular needs and wants. She was so personable and professional. We appreciate the step by step way that Doug later led us through the closing process on the house. Thank you for your service and help in making the purchase of our first home such a positive experience!" "Carrie and I feel compelled to relay to you and your staff what a privilege it has been to benefit from your assistance in the purchase of our new home. Debbe Hill worked tirelessly to insure we had every opportunity to pursue all of the available options, with prompt communication every step of the way. As out of state buyers, all of the normal "glitches" are potentially amplified, but I have to say this transaction could not have been more seamless." "Crutcher & Hartley have a very professional and yet warm relationship with clients. We are thankful to them for guiding us through our home purchase. At closing, Doug Crutcher was present and we experienced a warm and relaxed atmosphere. Thank you to the team of Crutcher & Hartley for all you did to provide us with your expert services. We love our home and "thank you" Doug for the enjoyable afternoon of laughs." "You were so helpful in buying and selling my homes. Every little detail was managed. If I had a question, you were available with the answer. You were always so kind and helpful. Thank you!" "My home was on the market for 9 months with another agent, without responsiveness , with very few showings, and without selling. I called Doug Crutcher, he met with me the same day, showed an interest without pressuring; spent lots of time with me allowing me to ask questions and make me feel comfortable . He told me exactly what I could expect from him/his company as a representing agent. I found Doug to be at the end of my cell phone anytime day or night if I had a question he always responded immediately. I received a multitude of daily text messages telling me showings that were set for the day which allowed me to know that my property was indeed being shown. I also received daily marketing reports of exactly what was being said in regards to my property; likes/dislikes from the people viewing. I believe the property was being shown on the average 3-4 times daily. The property sold within approximately 3 weeks. I have nothing but praise for the professional manner, expertise, and high quality of service I received from Doug , and would highly recommend him." "Finding a home to buy is not an easy task but it was certainly a pleasure working with Crutcher & Hartley Re/Max Agency while searching for our perfect home in Tyler. Our agent Linda Asquith understood exactly what we wanted and only showed us homes that might be a good fit. This truly made the search much easier. Being new to the area we appreciated her honesty and insight regarding the housing market and finding the best places to live that fit our budget. Everyone in the office treated us like we were special and made sure our purchase from the search through financing went smoothly. 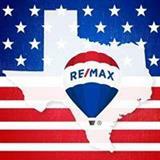 I would highly recommend Crutcher & Hartley Re/Max Agency if you are looking for your perfect home." "Very professional! Love this team! They are the best! They make you feel like you are part of the family. They know their stuff! Would always use Crutcher and Hartley for all Real Estate needs." "We sold some property thru them. It took a few years but that was just because the market took a dive and no one was buying anything. But the team kept on top of things and let us know when someone was interested. A very good team to work with. If I am ever in the Texas market again buying or selling they would be my first phone call. Thanks for hanging in there with us." "I think that Doug did a great job. Doug never stopped working on selling my house. With all the trouble we had with the house, he never gave up. I really appreciate all his hard hard work." "I have used Crutcher and Hartley several times now and I am always overwhelmed at how helpful they are. They make the buying and selling process easy and as stress free as possible. I will continue to use them for all of my buying and selling needs." "From the initial listing consultations to final closings, everything about our experiences with the Crutcher and Hartley Team was positive. Our listings were immediately advertised, and we knew that Doug and P.J. were letting buyers who would be interested know of them. We also learned how widespread the C and H client base was! It connects them with a large volume of leads both within the community and with potential out-of-town buyers. They were in constant touch with us and it was evident they were diligently on our behalf both as our listing agents and when we were bidding on a lot purchase. They have earned our complete confidence in their abilities and services"
"We always knew that P.J., Doug, and the Team took a personal interest in us and our property, whether selling or buying. They would always update us, and keep us "in the loop". I have known them to even make a bed or clean up before a showing. They go the extra mile. We have several properties (residential, land, and business) that have been bought or sold through this office in the last few years. They are extremely professional, extremely eager to serve clients, and very, very considerate and professional with other agents. We recommend them to family and friends. Listen to their advice, and you will do well. Happy Moving Day!" "This was our first time using Doug and P.J. 's buying and selling services. It was a pleasure. They were so friendly to us. They kept us up to date and informed through their staff and website. They are, in our opinion, the best realtors in Tyler." "We have bought and sold several properties through Crutcher and Hartley. It has always been a pleasure working with them. They are different from other real estate agents because they are in tune with the pulse of the market and respect our time, taking care of the details so that we don't have to. They always put the customer first and take the time to do the little things that make a big difference." "Being new to Tyler, we had a lot of questions about schools, neighborhoods, etc. The Crutcher and Hartley Team is very knowledgeable about Tyler and all of it's amenities. They were very intuitive to our needs and always responded promptly when we needed information. They have a strong network throughout the community that helped us answer our questions. The entire team was extremely professional. They provided us with very personalized service. They were always available to us and traveled lots of miles with us. They showed us the entire area and spent lots of after hours time, including weekends, in helping us find our home. You really can't ask for anything more from a real estate team. They have become our friends and we would definitely work with them again." "Doug and P.J. have served as our real estate agents since 2002, and we have always appreciated their professionalism and their willingness to help us, from the planning stage of a new home through the final details of the closing. We have worked with them on all of our new speculative homes, as well as the purchases of our personal homes. They and their staff take a personal interest in our projects and make the whole process easy. We highly recommend Crutcher and Hartley for anyone wanting to buy or sell a home. They're the best!" - Steve and John Nix - Nix Construction, Inc.
"We bought our current home and sold our last home through RE/MAX Properties. We feel that we had a partner who helped us to understand the details and risks associated with the commitment of buying a home. We have always felt welcome and comfortable with the various members of the Team, who took a great interest in our long term investment in a home. The Team communicates well and has a very organized approach. Doug and PJ listened to our concerns and opinions and helped us find the home that fit our needs. We always felt that we could ask questions and trust in the answers we were given. We would definitely work with them again and refer others to do the same." "Knowing that the sale of our home was dependent upon the knowledge and experience of the Crutcher and Hartley Team gave us tremendous confidence. They have built their reputation on matching the right home to the right owner at the right time. Placing our home in their hands was the easiest decision we ever made. They have a rock solid track record of honesty, integrity, and commitment." "We have used Crutcher and Hartley's buying and selling services since 2002 and have benefited from their personal service, attention to detail on all listings, and professional, honest advice. Doug, PJ, and their staff have always provided us with prompt, professional service. From start to finish, we feel they are personally dedicated to marketing our properties in the most effective means possible. We would work with them again and would refer them to anyone looking to buy or sell property." "Doug and P.J. have a vast knowledge of the Tyler real estate market. They have been in on the ground floor of many developments, which allowed them to give straightforward answers to our questions and give us excellent advice. They were in tune to what we were looking for as buyers, and very patient as we chose the house that best suited the needs of our family. In addition to being great agents, they are just genuinely nice people. The whole time we felt they were sincerely interested in helping our family find the home that best suited our needs. Knowing that they represented us made us feel comfortable at every stage of the buying and selling process. They make you feel as if you are their most important client and that kind of personal attention is getting hard to come by. We will confidently tell anyone who is in the market to buy or sell property to go see Doug and P.J. They will not regret the decision. There's no better real estate team in Tyler." I just wanted to say thank you so much for all that you did to make this very exciting first home purchase happen!! I very much appreciated it, and enjoyed working with you!" "PJ Hartley is a truly amazing realtor. She is honest, reliable, knowledgeable and committed to her clients. She is a combination of professionalism and true warmth, and I felt throughout the process that she was genuinely interested in making sure I made the best choices and I felt incredibly well guided and protected. She was a dedicated advocate for me in the buying and selling process. PJ went beyond expectations to make sure I was happy. My thanks to PJ and her team."